Tangible cultural heritage includes material products with historical, cultural or scientific value, including historical-cultural sites, scenic landscapes, relics, antiquities and national treasures. Until now, there are 8 intangible cultural heritages of Vietnam with unique values recognized by UNESCO. Hue’s royal court music developed during the Le dynasty (1427-1788) and became highly institutionalized and codified under the Nguyen monarchs (1802-1945). 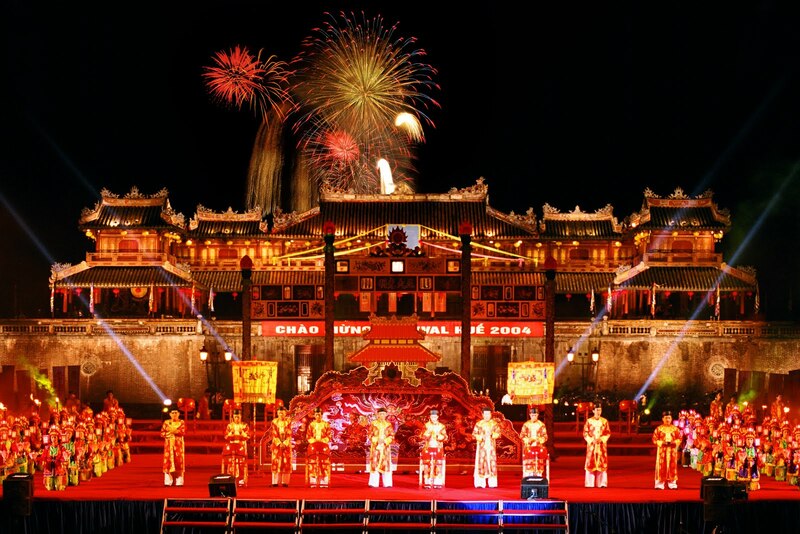 For a long history of existence, Hue’s royal court music has become an essential part of Hue Imperial City as well as Vietnamese culture in general. The music features music for dance and opera, used in worshiping ceremonies, national court – organized festivities, and occasions of entertainment for Kings and Royal families. 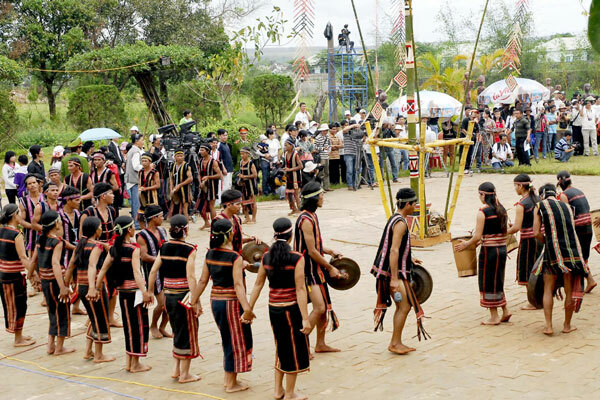 Recognized by UNESCO in 2005, the cultural space of the Gongs in the central highlands of Vietnam covers provinces and nearly seventeen minority ethnic groups. Now, the gongs have become an attractive and appealing symbol of the culture of the Central Highlands, and the gong performances are activities associated with cultural and spiritual life and beliefs of ethnic people when they are born, grown up and return to the soil. On September 30, 2009, UNESCO officially recognized the World Heritage of Intangible Cultural Heritage. The love duets are among the most well-known social customs appearing widely in the provinces of Bac Ninh and Bac Giang of northern Vietnam. 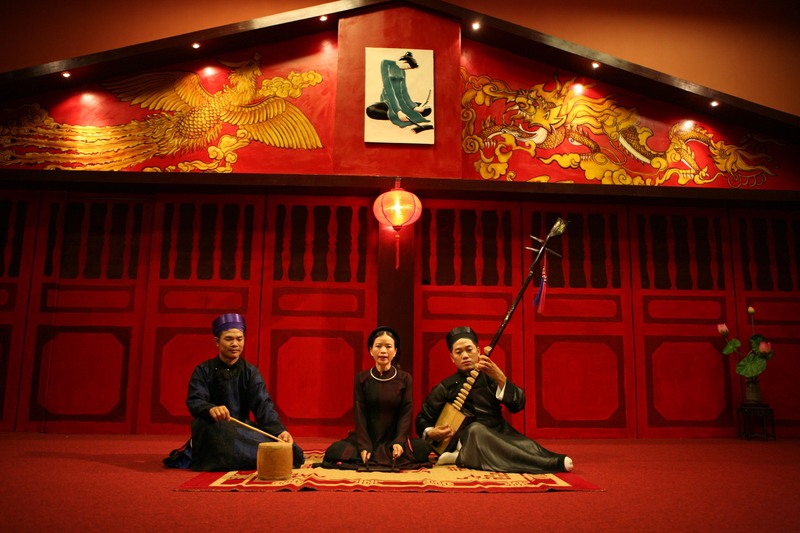 “Quan ho” is an art form that combines various elements, including music, lyrics, costume and a unique style of singing that reflects the close relationship between the singers. Appearing in 11th century, but it wasn’t until the 13th century, during the Ly Dynasty; Ca Tru was officially recognized as a form of entertainment for the royal court. 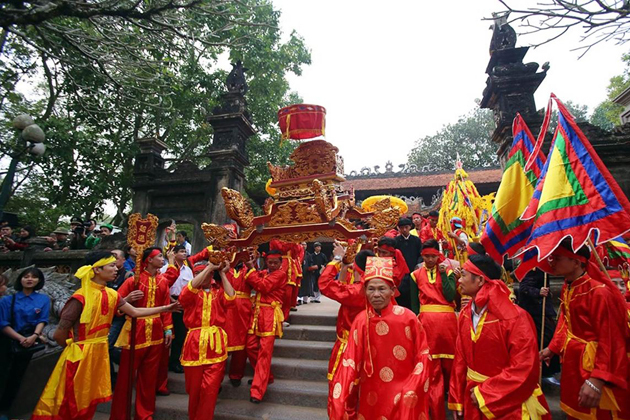 The Giong festival of Phu Dong and Soc temples has officially been recognized as an intangible cultural heritage of humanity by the UNESCO since November 2010. Xoan singing in Phu Tho Province is a traditional ritual folk song, attached to a particular creed when worshipping the Hung Kings and by farmers growing wet rice in the midland areas. 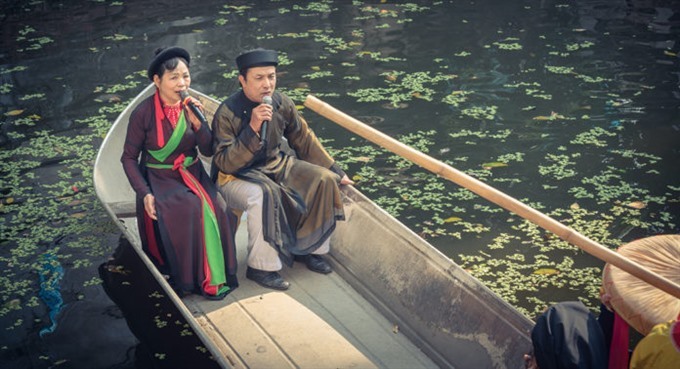 Being an invaluable intangible cultural heritage, Xoan singing was recognized as a world intangible cultural heritage that needs urgent protection in 2011. Annually, the largest ceremony, the Ancestral Anniversary festival of the Hung Kings, is celebrated for about one week at the beginning of the third lunar month. The religion was recognized by UNESCO in 2012, shows that the world appreciated highly, and also recognizes the spiritual life of the Vietnamese people; it already has thousands of years. “Don ca tai tu” considered one of the country’s main chamber music genres, originated from Hue court music and folk music of the southern region. The genre has been developing since the 19th century, changing with local taste. It thrived in the early 20th century and remains crucial to the country’s traditional culture. 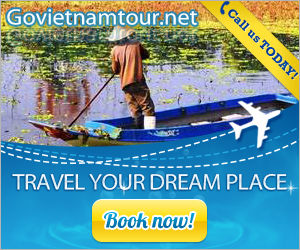 Vietnam warmly welcomes you to enjoy Vietnamese cuisine and traditional culture. 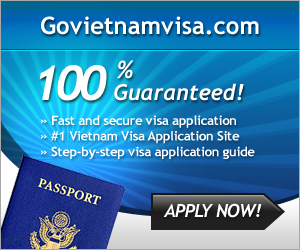 To make your trip in smooth water, turn your plan into real by quick hands to obtain Vietnam visa at http://govietnamvisa.com and for Vietnam eTicket at http://vietnamairlines247.com.